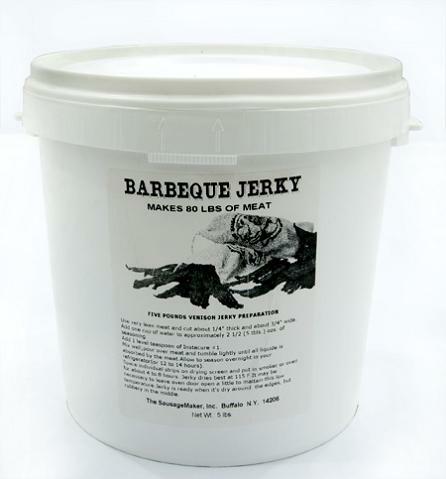 You�re viewing our Sausage Maker barbecue jerky seasoning � makes 80 lbs. 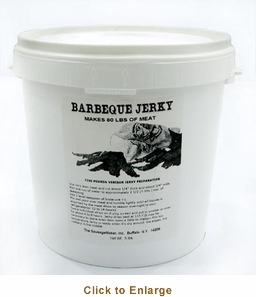 Uncle Abe's barbecue jerky seasoning infuses the delicious taste of barbecue into beef, poultry and wild game meats. Insta Cure� No. 1 included (1 lb. per kit). Contains soy. Recipe on package, makes 80 lbs of barbecue jerky. 5 lbs. If you have questions about our products we have the answers you need.